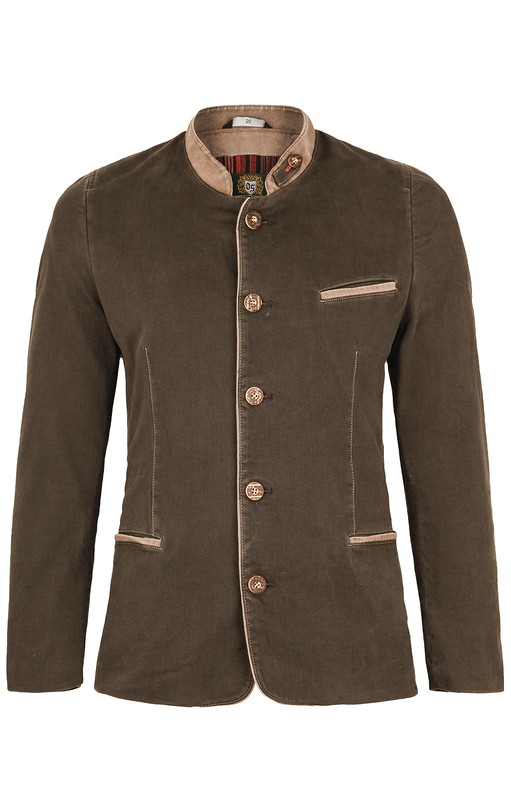 Traditional jacket jeans colour brown. Casual, young and unusual. 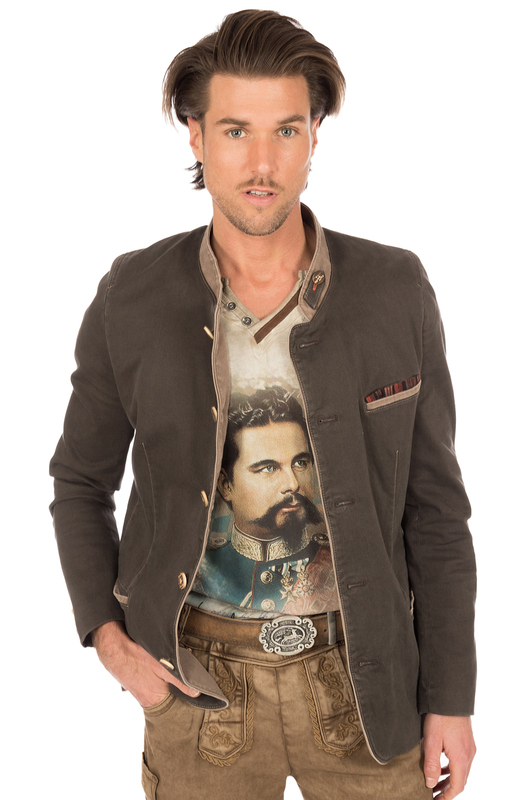 A feel-good part and so very different than you generally imagined traditional jacket. 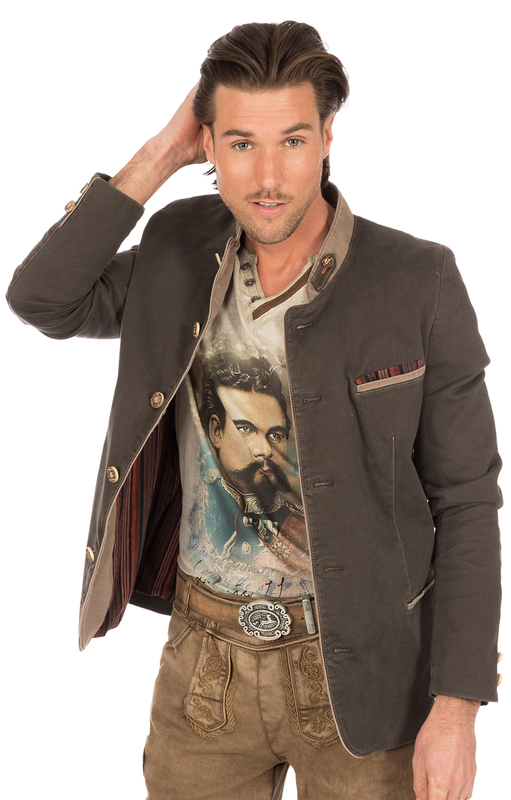 This costume jacket is for young and young at heart men. Orbis model. Jeans with light brown trim and pocket piping. Slim fit fit. Conscious body emphasized cut. 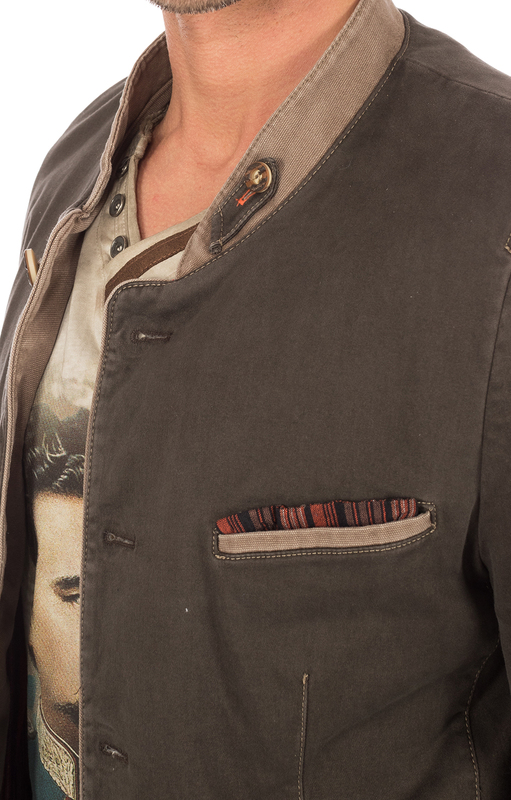 The cardigan is lined inside with the fabric of the pocket square. 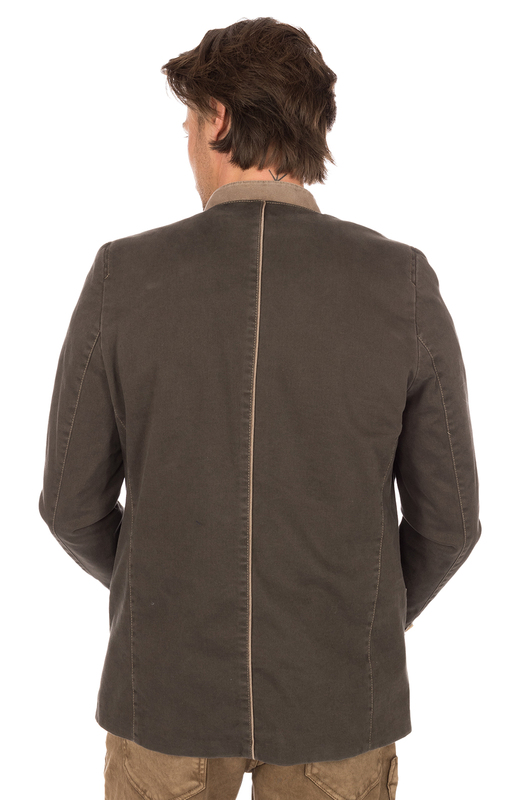 The back with its bright dividing seam also sets fashionable accents and fits perfectly with the overall style of this unusual traditional jacket. Habe schon mehrmals bei Alpenclassics gekauft und noch nie einen Gutschein bekommen.... finde ich schade ! 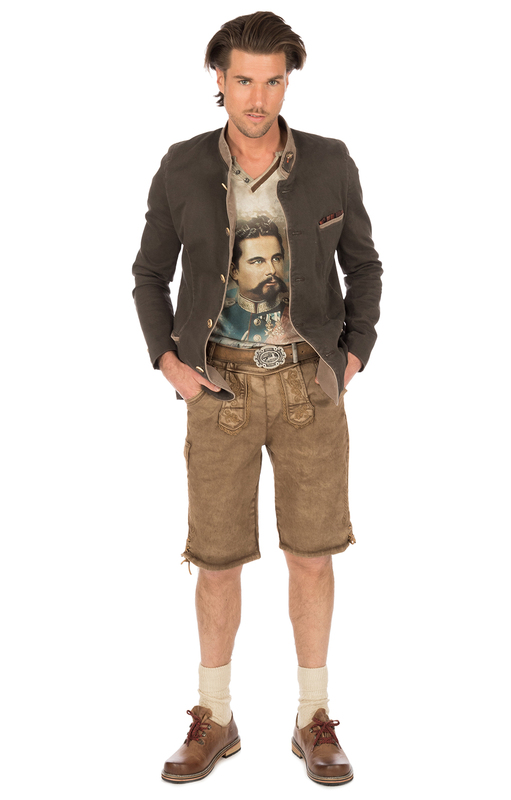 Qualität und Verarbeitung der Jacke ist gut. Der Preis könnte etwas günstiger sein.